Mamma Mia Homemade Pizza in one Hour. Yup, when your kids want pizza, they sure don't want to wait for hours - they want it NOW and of course, home made crust is best. This is the easiest and best crust recipe I have ever used - I have success every time with this one. By the way, kids in Norway looove this stuff - as you know, it is an universal food instead of just Italian. 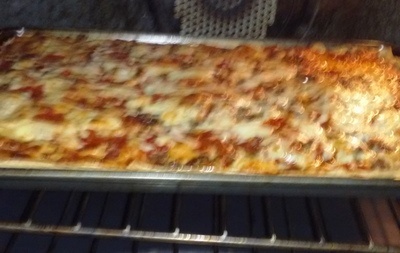 The Norwegians are not exactly famous for Italian cooking, but at least I am very popular at my house for making this Italian food, which internationally, we all lovingly call Pizza. Joy! In a large mixing bowl, combine 1 cup flour, yeast, salt and mix well. Add water and oil/butter. Mix batter until somewhat smooth. Gradually stir in remaining flour to make a stiff dough. want a double crust. For single crust don't divide dough. Knead dough until smooth. 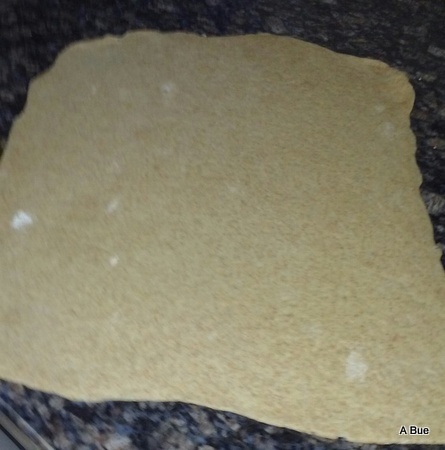 < B> Place dough back unto clean surface and use a rolling pin to roll out to fit your baking pan. 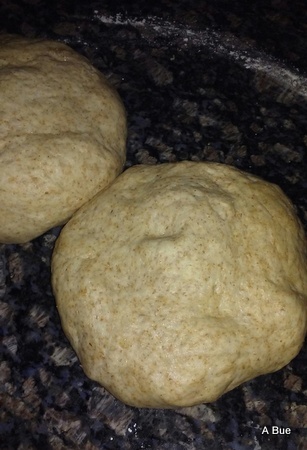 For Double Crust: Roll out each piece of dough. Place first rolled out dough onto the baking pan. Using a pastry brush spread melted butter and garlic onto the dough in baking pan. Place second rolled out dough over the first layer. 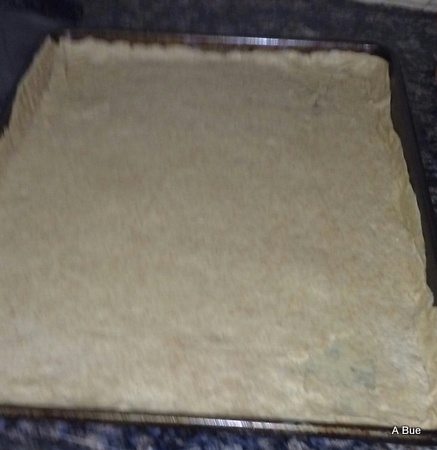 Press both pieces of dough into the greased 12-14 inch baking pan. Now you are ready for the topping. Top with your favorite home made or canned sauce. Add meats, s.a. Italian sausage, ham, pepperoni, onion, mushrooms, green and/or red pepper, herbs, s.a. Oregano, Sweet Basil and olives. Sometimes I spritz Olive Oil over the toppings and top with tons of shredded Mozzarella cheese and whatever goodies I have on hand for topping. Bake at 400°F 25–30 minutes or until crust is light golden brown and crisp on the edges. Serve immediately, and that’s no problem, I am sure. a few minutes next time. Or you can freeze it assembled and bake it later. 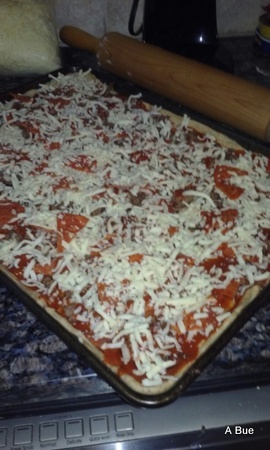 If your family enjoy a thick crust, double the recipe and use all the dough for one pizza.